We decided to truck the Volvo to the shop. 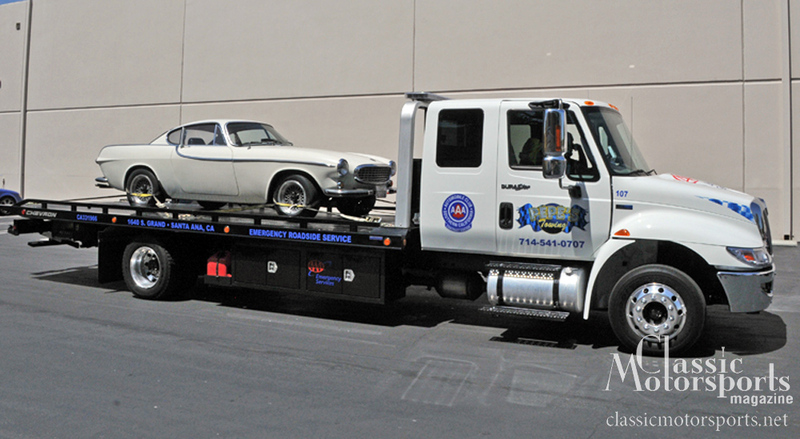 We knew that the suspension needed some help after picking up our Volvo and driving it just a few miles. We called some people in the Volvo Club of America, which led us to Hi Performance Auto, a Volvo-only garage in the Los Angeles area. 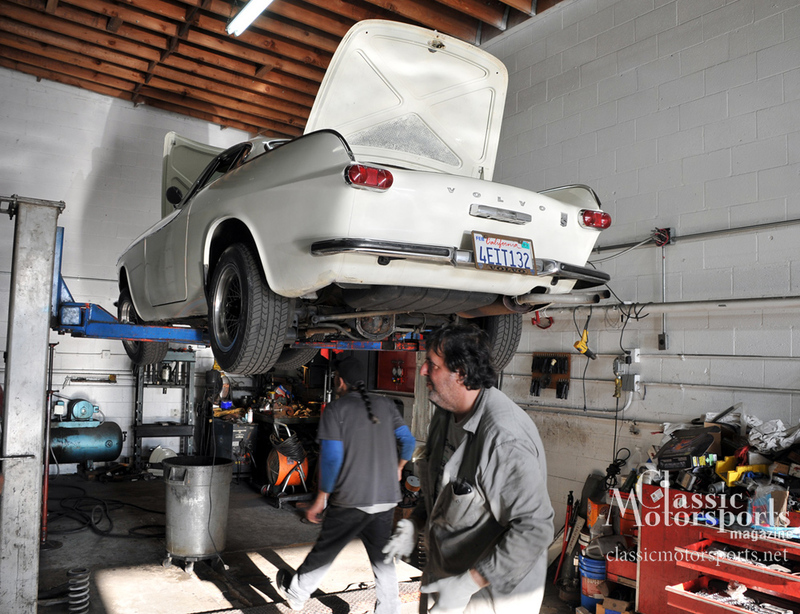 We put the car on the lift and quickly found that it needed every bushing in its suspension replaced. It had various other needs too. Keeping in mind that we were planning on driving it 2600 miles back to its new home in Illinois, we told Eric to make a list of A and B needs. We got the list and did all of the A items. This included replacing the shifter bushing and every suspension bushing in the car. We also replaced the tires and the cruddy cast alloy wheels with factory-correct steel wheels and installed a matched set of Pirelli tires. The front brakes needed attention, too. We replaced not only the rotors and pads, but also upgraded the flexible brake lines with braided stainless. We had them done in black so they still looked stock. One other task we needed to undertake was rebuild the Weber carb so that it finally ran correctly. On picking up the car and driving it awhile on the way to Buttonwillow, the excellent design of our Volvo s started to show through and we got an idea of what makes these cars so special. The car drove better and tracked nicely at all speeds. It shifted and braked nicely. 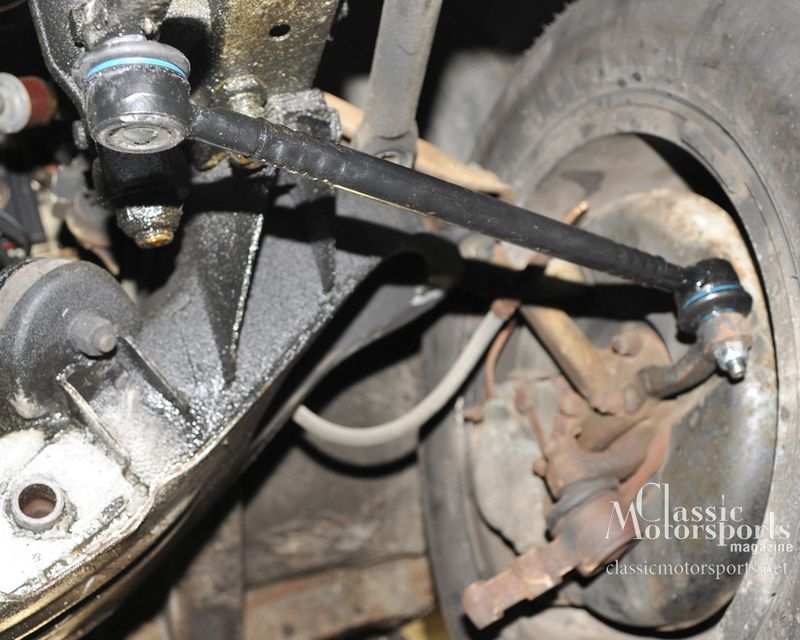 The steering was transformed and the suspension felt as good as new, which it is. Next is our drive back to Illinois—which has already been documented in Classic Motorsports magazine—followed by paint and body work to correct some of the issues we have discovered. Get vintage Volvos delivered to your mailbox: Subscribe now for tons of sports car content delivered throughout the year. We will be replacing them next. Keep checking to see more updates soon. 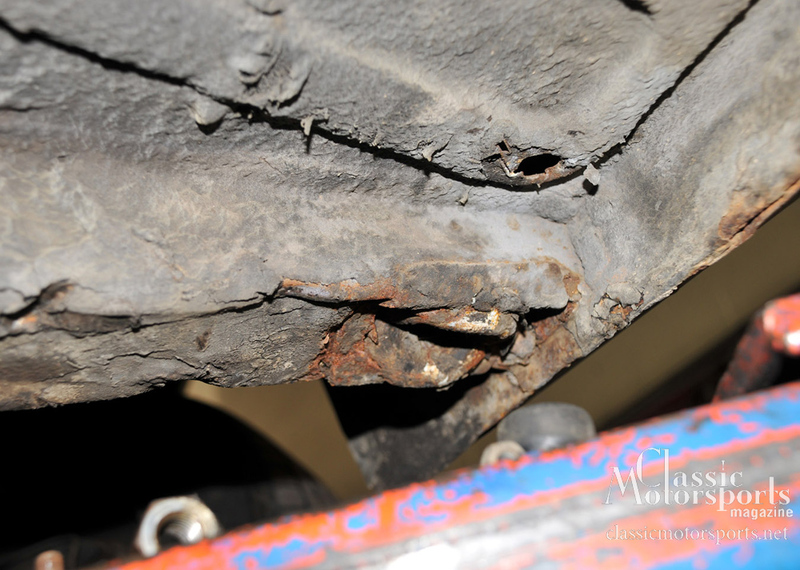 Don't forget to check the steering "rag "joint. Many are cracked or loose @ it causes a little steering play. Did you ever find the original style oil cooler? If not I've got one ,though without the tubes.